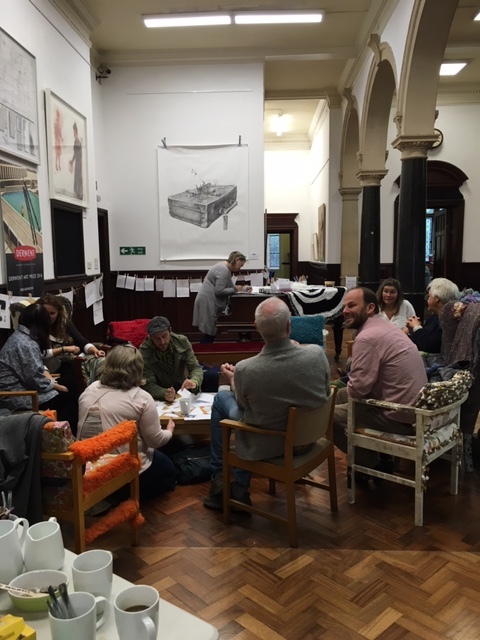 This morning I popped into the Artists’ Café at Trowbridge Town Hall, a monthly meeting open to artists and other creatives and a space to meet and chat informally about creative news, ideas, projects and opportunities. 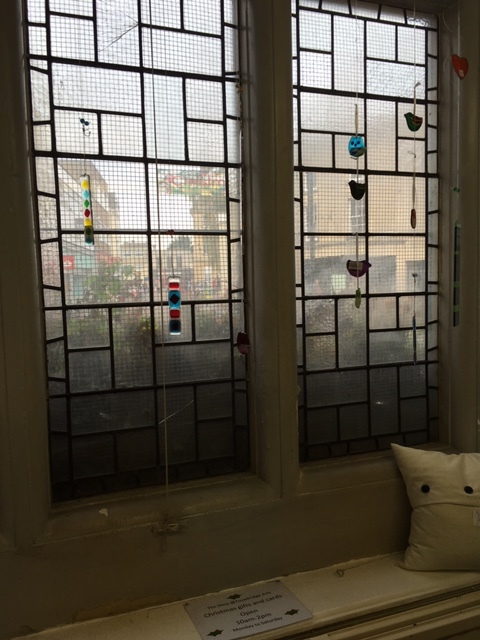 For those of you who haven’t visited, Trowbridge Town Hall has, for the past five years, been developing into a vibrant arts centre in the middle of the town and is where I am currently Poet in Residence, teaching weekly poetry classes and running a monthly Poetry Society Stanza group. There are many opportunities to take part in artistic, cultural and heritage classes and events. Take a look at the Trowbridge Arts website. 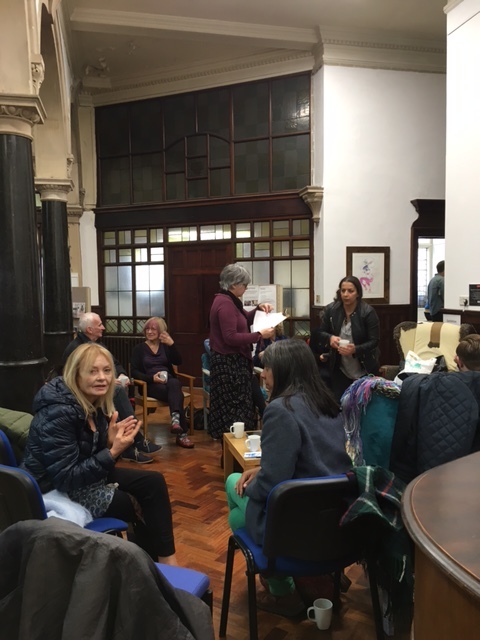 It would be lovely to meet more writers of all genres at the Artists’ Café so do come along or spread the word if you’re interested or know anyone who is. Meetings are on the first Thursday of every month from 10.30am until about noon. The next meeting will be on Thursday 1 December. Each time I’ve been at the café, I’ve met interesting people living and/or working locally, whether from in and around Trowbridge and surrounding towns and villages or from Bath and Bristol and surrounding areas. How about this for a shop window? Beautiful, isn’t it? 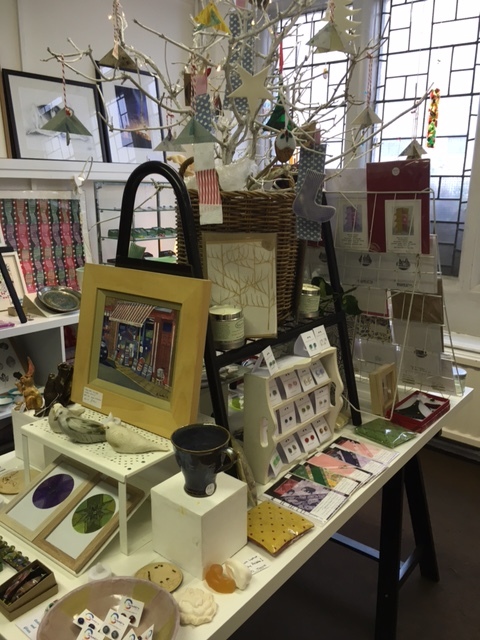 Some of the artists who meet at the monthly café also display and sell their work in the very beautiful artists’ shop at the Town Hall which is definitely worth a visit. There are even copies of my pamphlet in there! I hope you have a chance to visit one day. Don’t forget to say hello if you do. Thanks, Adam 🙂 It really is.